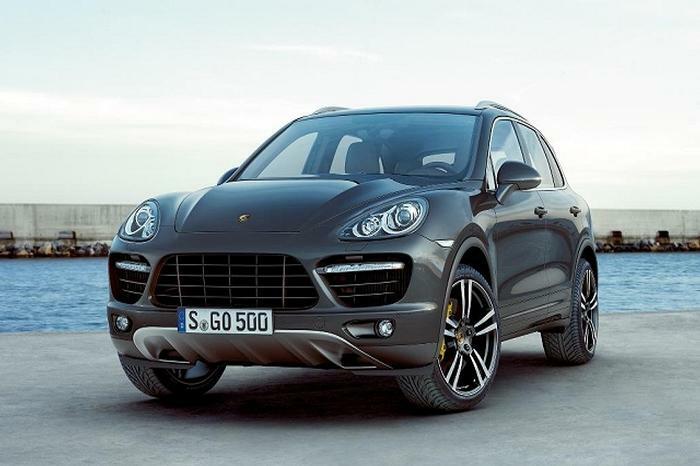 This is the Carzone.ie guide to buying a used Porsche Cayenne. Porsche launched the original Cayenne in 2003, to mixed critical reviews – here was a dedicated sports car maker delving into the murky world of SUVs. And the original Cayenne was not a pretty vehicle, to say the least. However, by the time the second-generation model launched in 2011, Porsche’s designers had got a better handle on how to make a big 4x4 look good, and it’s this Mk2 Cayenne we’re looking at here. Often credited as the car that saved Porsche from oblivion (although you could argue the 1996-launched Boxster was the platform for the company’s revival), the Cayenne is a large, five-seat, premium SUV. All second-gen Cayennes have four-wheel drive, with almost all sending power to all corners via an eight-speed Tiptronic automatic gearbox – only on base-spec Cayennes could a six-speed manual be found. At launch, there was plenty of choice for petrolheads, as things kicked off with the regular Cayenne (3.6-litre V6, 300hp/400Nm) and then the Cayenne S (4.8-litre V8, 400hp/500Nm). These were soon joined by the Cayenne GTS, which used a reworked version of the 4.8 V8 in the S to deliver 420hp/515Nm, while its chassis was sharper and the looks (outside and in) were sportier. And then there was also the storming Cayenne Turbo. With a twin-turbo derivative of the V8 motor, it churned out 500hp and 700Nm as the Turbo and phenomenal stats of 550hp/750Nm as the Turbo S. For fans of fuel efficiency, there was a solitary turbodiesel in the pre-facelift cars, called the Cayenne Diesel (3.0 V6, which developed 240hp at first and then 245hp from 2012, with 550Nm throughout), or there was the Cayenne S Hybrid, which paired a 3.0-litre supercharged V6 petrol engine with mild electric augmentation, for 333hp and 440Nm with 193g/km of CO2 emissions. In 2014, the Cayenne was facelifted for the 2015 model year and almost all the engines saw spec changes, while they became marginally cleaner for CO2 output as well. The only model that didn’t alter significantly here was the base-petrol Cayenne, which retained the 300hp V6. The Cayenne S and Cayenne GTS variants dropped the 4.8 V8 normally aspirated engine, in favour of a new 3.6-litre twin-turbo V6. Power for the S was up to 420hp with 500Nm, while the GTS increased to 440hp with 600Nm as back-up. That left the capital-T Turbo models as the sole petrol V8s, the regular Turbo now developing 520hp and 750Nm, the Turbo S up to quite ridiculous numbers of 570hp and 800Nm – which allowed it to do 0-100km/h in 4.1 seconds and go on to a 285km/h top speed. However, it wasn’t the only facelifted Cayenne Mk2 to sport a V8, as the Cayenne Diesel (now up to 262hp and 580Nm) was joined by the Cayenne S Diesel: this used a 4.2-litre (it was actually a 4.1-litre engine, but it’s often referred to as a 4.2), twin-turbo V8 turbodiesel engine to deliver a useful 385hp… but also a simply colossal 850Nm of torque, more than any other Mk2 Cayenne. Finally, the Cayenne S Hybrid evolved into the Cayenne S E-Hybrid, and that ‘E-‘ in the middle makes a huge difference, as this was a plug-in hybrid electric vehicle (PHEV) version of the part-electric Porsche. This meant it could actually travel for brief periods on electric power alone (meaning zero emissions) and it had much lower official CO2 emissions of 79g/km, allowing it to take advantage of emissions-based tax breaks. The supercharged petrol V6 was retained as the combustion engine part of the drivetrain but the meatier electrical system meant outputs were boosted significantly, to 416hp and 590Nm for the S E-Hybrid. There’s a lot of choice in the Cayenne Mk2 family and, while it’s fair to say no variant is particularly cheap to run, they are all very fast by way of compensation. However, we reckon the sweet spot is Cayenne S Diesel, as it offers reasonable frugality with some serious performance and a rich V8 engine note. While diehard car enthusiasts can still have a heated debate about the morals of a sports car company like Porsche making an SUV in the first place, for everyone else the Cayenne makes perfect sense. It got in early on the premium SUV zeitgeist and it remains one of the most desirable high-riding vehicles in the world today. Bagging a good, used Mk2 Cayenne instead of plumping for a new Mk3 will save you a load of money, and yet the older version doesn’t feel appreciably different to drive – meaning it is a bargain of sorts, even if its second-hand prices remain strong.